Burma's lawmakers elected the junta's outgoing prime minister, ex-Gen Thein Sein, as the president of the new government on Friday, making it clear that the political transition has had little impact on the country's entrenched military rule. The 65-year-old former general, who is known for his strong loyalty to junta chief Snr-Gen Than Shwe, was elected by the military-dominated Parliament as the first civilian president of Burma since the army seized power from a democratic government in 1962. Thein Sein, who retired from the military last year along with several other military officials to head the junta's proxy, the Union Solidarity and Development Party (USDP), to contest the November elections, received 408 out of 659 votes in the combined houses of Parliament. “The presidency went to U Thein Sein because he is the USDP party chairman and also because he has much international experience,” said Khin Shwe, a fellow MP as well as a business tycoon close to the regime leadership. Thein Sein graduated from the elite military school, the Defense Services Academy, in 1968 and became the junta’s Secretary-1 after former spy chief Gen Khin Nyunt’s downfall in October 2004. When he became the prime minister in 2007, he led overseas diplomatic delegations to countries around the region and beyond. The Parliament also chose ex-Gen Tin Aung Myint Oo, a loyal subordinate of Than Shwe, as first vice-president and Sai Mauk Kham, an ethnic Shan physician and businessman with little political experience, as second vice-president of the new government. Both are MPs representing the USDP. Under Burma's 2008 Constitution, both the president and vice-presidents are limited to two five-year terms. “The result was no surprise for us since we are just a small minority in the Parliament,” said Dr. Aye Maung, an ethnic Arakanese politician and the chairman of the Rakhine Nationalities Development Party, who was earlier nominated for a vice-presidential post. He said that the Parliament will adjourn for the next three days and the president will start forming a new government next Tuesday, completing the junta's seven-step road map to a “discipline-flourishing multiparty democracy” and officially marking the dissolution of the ruling junta, the State Peace and Development Council. The cabinet is expected to consist mostly of USDP MPs from the senior ranks of the former military leadership. Many view the whole process as a mere charade designed to entrench the decades-old military dictatorship with a civilian facade, and the parliamentary session that started on Monday has aroused little public enthusiasm. “We see no changes in this whole process. It's just the same people in charge. Democracy is nowhere in sight,” said Bo Bo Oo, a gallery owner in Rangoon and former political prisoner. Since Than Shwe decided not to assume the presidency of the new government, his future role remains a topic of speculation among opposition legislators and Burma observers. 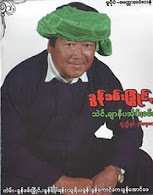 Many assume that he will still play the most dominant role by either holding onto his current position of commander-in-chief of the armed forces or becoming the patriarch of the USDP. It is also generally believed that he will be the real power behind Thein Sein, who as president will also serve as the chairman of the National Defense and Security Council. In this role, Thein Sein will be empowered to make key decisions without the approval of Parliament, including the decision to declare a state of emergency and restore military rule. The main opposition party, the National League for Democracy led by Aung San Suu Kyi, has no presence in the Parliament, since it boycotted the election last year and has since been disbanded. A commentary in state-run newspapers on Thursday denounced Suu Kyi's idea of holding an online ethnic conference for national reconciliation as a “surprising” irrelevance.